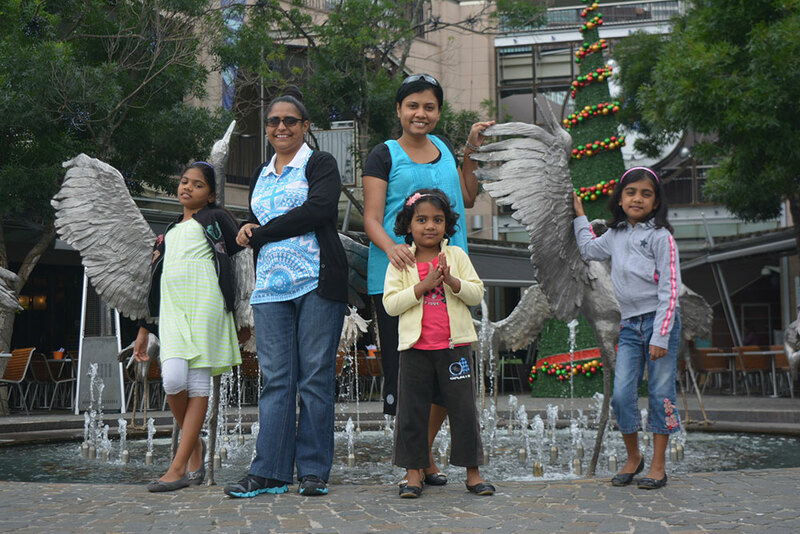 I arrived in Sydney on 1st of December with my son, daughter in law, 3 granddaughters and my daughter. We stayed in Wyndham Sydney for 5 nights. 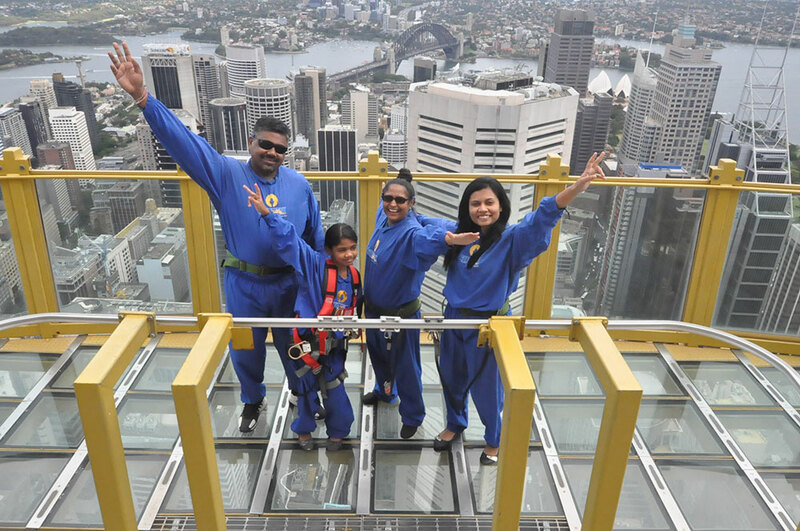 Activities in Sydney included visiting the Taronga Zoo via Captain Cook sightseeing cruises and a cable car ride, a visit to Sea Life Sydney Aquarium, Buffet Dinner at Sky Tower Eye Revolving Restaurant and Skywalk on Sydney Tower Eye. We had hired a rental car which was an 8 seater full size van for our journey that was to end in Surfers Paradise, Gold Coast. Our first stop leaving Sydney was the beautiful Hunter Valley. We stayed at WorldMark Resort Pokolbin Hill for 1 night and went to experience an amazing Christmas light spectacular display at the Hunter Valley Gardens. Hunter Valley was a very beautiful relaxing place. We managed to experience the chocolate factory and various wineries that were closely located to our resort. After Hunter Valley, we drove to Ports Stephens and checked in at WorldMark Resort Port Stephens, another beautiful scenic golf resort location. 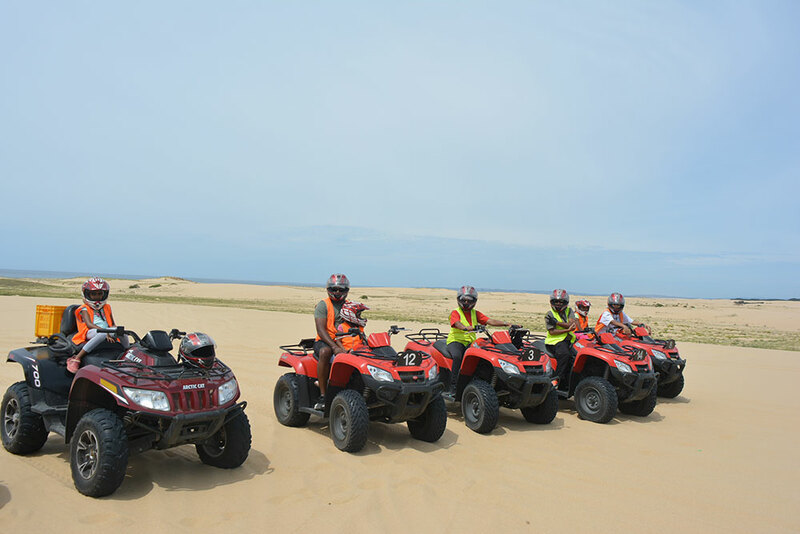 Our activity for Ports Stephens was the exciting Quad Bike ride tour on the sand dunes. 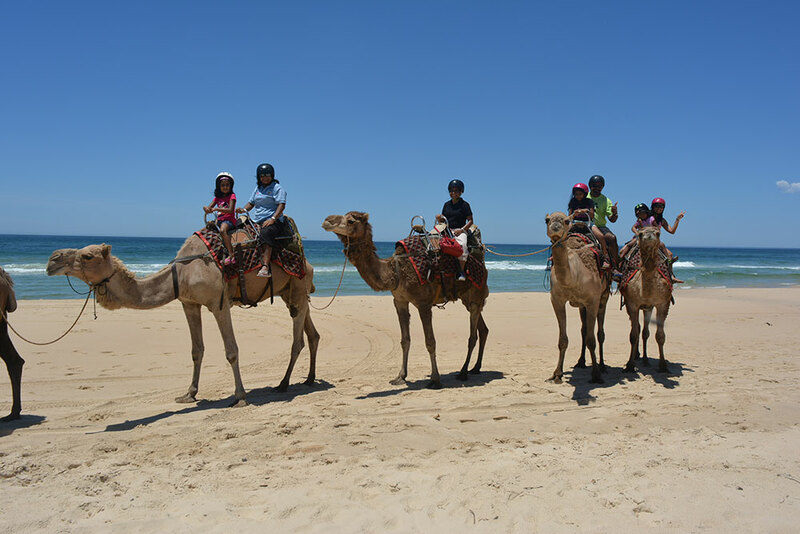 We experienced the magnificence of the Worimi Sand Dunes on Stockton Beach, riding from bush to beach on highest sand dunes in southern hemisphere with glorious views of sweeping coastline. We then drove to Wyndham Flynns Beach resort in Port Macquarie on 9th. We visited the famous Bago Maze and Bago vineyards and tasted some of their excellent wine and cheese platters. Finding our way through the Maze was a great fun. We took a Camel Safari the next day followed by a walk along the beautiful lighthouse beach and sightseeing from the old Lighthouse. The Flynns Beach resort had a steam sauna which all the adults enjoyed thoroughly. The property had a small and simple layout but was spacious inside and was very cosy. We really appreciated the luggage trolleys that were near the lifts which we could take into the rooms; very handy for a family of seven! The next drive was to Wyndham Coffs Harbour – Treetops resort on the 9th. This was another beachside golf resort location and had very modern facilities and extremely relaxing environment. We spent our few days there visiting the Big Banana, taking a nature walk to Mutton Bird Island, visiting the miniature Holland village replica at the Clog Barn. 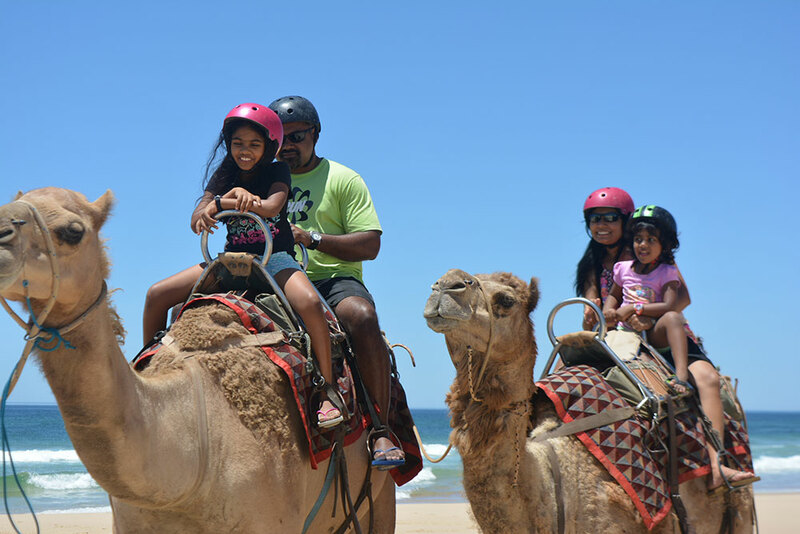 Surfers Paradise was our final holiday destination for 2015. We arrived at Wyndham Surfers Paradise on 13th of December. We had booked a Sky Suite that had an awesome unspoiled view of the seashore from our balcony. We checked into the room with a collective WOW. Our Gold Coast activities included the Dreamworld, WhiteWater World, Wet ‘n’ Wild, Movie World and Sea World theme parks. 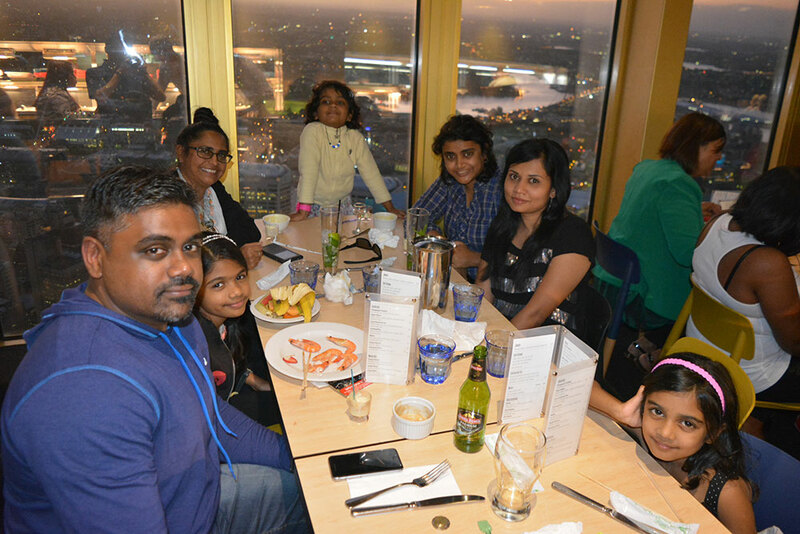 We also dined in the Q1 observation deck, SkyPoint, which we were told is the highest in Australia. Naturally we picked up more than what we had planned for during shopping visits in each town. I think we managed to take full advantage of the Christmas specials and the trusty van did a marvellous job of hauling everything from start to finish. We spent 8 nights in beautiful Surfers Paradise before heading to Fiji on 21st. Wyndham Resort Denarau Island was very close to mall type shopping, supermarkets, restaurants, small attractions and curio and a bottle shop which was practically next door. The 8 night stay allowed us to take advantage of the location to the fullest. It felt better than home! We are really grateful to Samantha Crossley from the Wyndham Travel Club for doing an excellent job in organising our holiday activities, our flights and our rental car. We received our passes and tickets before time and organised well before our holiday started. Checking into each property and enjoying all attractions was a breeze. Samantha even managed to make last minute changes to our returning flight meals with no hassle at all. All in all it was a dream holiday! This entry was posted in (Fiji) Denarau Island, (NSW) Coffs Harbour, (NSW) Hunter Valley, (NSW) Port Macquarie, (NSW) Port Stephens, (NSW) Sydney, (QLD) Gold Coast, (QLD) Surfers Paradise and tagged australia, Denarau Island, family, Fiji, holiday, new south wales, queensland, timeshare, travel, vacation ownership, western australia, WorldMark South Pacific Club by Wyndham, Wyndham Vacation Resorts Asia Pacific. Bookmark the permalink. WOW, Your fellows seen a great part of my home country. how strange it is. Whilst you enjoyed Australia, most of us longing to get to Fiji. I am an owner since 2003 and last year I managed to take 4 of my grand children and their parents of course to Denarau for a week. Nearly a whole box of tissues got used when it was time to leave. They all agreed, they will be back. Lucky for them, I have a lot of credits. Bula.